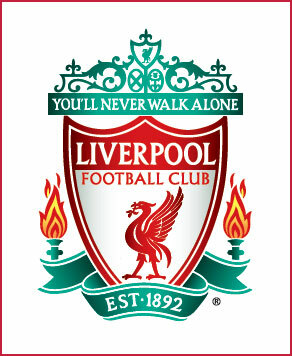 Most people have heard either the name of Anfield, if not the Liverpool Football club themselves. They’re part of a seemingly elite group that vies for the top of the premiership every year. Anfield is their home ground and through ST Minibus Hire Manchester you won’t have a problem getting there to see the big game. The stadium has a huge amount of history to it and is the former ground of Everton FC before they moved to the newly built Goodison Stadium. Anfield has hosted a number of events and top games from tournaments and its status as the home ground to Liverpool FC has certainly helped it gain notoriety. Football fans from all around the country know how difficult it can be to get to and from a stadium on game day. Especially a large stadium like Anfield that houses around fifty thousand people, who will all make their way to the stadium on the day. That’s a lot of traffic and that’s a lot of hassle when it comes to parking. Booking your travel to the stadium through ST Minibus Manchester means that you have an easier time when it comes to travelling to and from the stadium. Our drivers will navigate the traffic and being in a minibus means you won’t have to worry about parking, or finding your car at the end of the game. Being in a minibus also means that you can take all your friends and family with you without worrying too much about having enough room. Anfield is one of those stadiums that is so big it has a lot to do outside of game day as well. When you book a trip to Anfield outside of game day you can enjoy an exclusive tour of the stadium and see the stadium through the eyes of the players. You can take the tour on match day but all the hustle and bustle means it costs a little extra. The tour includes an hour long behind the scenes look at the stadium, a look at the different press and dressing rooms, and you can even touch the world famous “This is Anfield” sign that hangs above the entrance to the pitch and sit in the Manager’s dug out and get a feel for what it’s like to be a part of the top brass of the club. So what are you waiting for? Book a trip to Anfield through ST Minibus Manchester today and see for yourself what Anfield has to offer. Whether you go to watch a game or go to enjoy the tour you won’t be disappointed when everything is said and done and the final whistle blows.